Ask any vegan the most common question they get asked, and they will most probably say top of the list is: ‘where do you get your protein from?’ The strongest and largest of our animals on this planet are 100% herbivores. Civilization has been reliant upon herbivores, by way of horses and oxen which have great strength and stamina for work, for thousands of years. They get enough protein from plants – and so can we. Louise Palmer-Masterton of Stem + Glory explains how. The truth is, everything we eat has a protein element to it and really, as long as your plant-based diet is varied, it will contain all the protein you need, including the full spectrum of amino acids. Almost every food source contains an element of protein – including all vegetables. Peas, kale, broccoli, mushrooms, asparagus are particularly good protein sources as, of course, are beans, lentils, nuts and seeds. The protein question really boils down to the amino acid question, and this is where we can get all scientific and prove the point that you really do not need to eat animals to get all the protein you need. All proteins, animal or plant, are made up from amino acids. But the number and order differs from food source to food source and those found in food also vary from those that make up our own body parts. When you eat protein, your digestive system breaks it down into amino acids, which are then absorbed into the bloodstream. The acids then build the proteins that make up your muscles, organs and tissues. Not all aminos are ‘essential’ but there are nine aminos that the body cannot manufacture which are essential and have to be consumed for optimum health. There is a lot of talk about getting the full spectrum of these essential amino acids that is generally misunderstood. Vegans are lectured about this often too. Animal-based proteins contain all nine essential amino acids, which makes them complete proteins, but it is not actually necessary to eat one food that contains everything. Combining plant foods results in complete protein and gives exactly the same result nutritionally. The essential amino acids are histidine, isoleucine, leucine, lysine, methionine, phenylalanine, threonine, tryptophan and valine. To give some examples of successful combining, grains are lacking in lysine, beans are high in lysine therefore combining these two foods gives a perfect amino acid balance. So, grains and legumes are therefore known as complementary proteins. ‘Rice and beans’ is fairly commonly known as a complete meal. But lesser known is that nuts and seeds together with legumes are also complementary proteins. So, let’s hear it for hummus! 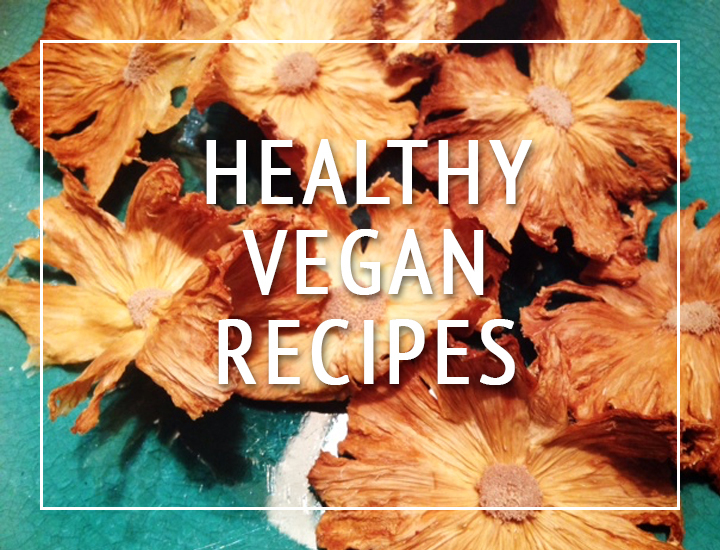 This vegan staple is a complete protein – chickpea (legume) + tahini (sesame seed). It turns out it is even easier than you thought to get the right protein balance – you don’t even need to eat your full spectrum of amino acids at the same meal. The liver can store essential amino acids, so as long as you eat a varied, plant-based diet that regularly includes all the aminos, you’ll be getting everything you need. Some plant sources are actually already complete proteins – soy, quinoa, buckwheat, chia, hemp and amaranth – but rather than focus on just those, it is far better to simply eat a combination of vegetables and plant proteins. Bear in mind that meat eaters and lacto vegetarians eat vegetables, legumes and grains too, so it is kind of irrelevant that their proteins are complete! We also don’t need as much protein as you might think. Men should get 56 grams and women need 46 grams of protein daily. Most people eat almost double this, and it is actually detrimental to health and wellbeing. Too much protein, especially meat based protein, gives an increased risk of a wide range of conditions – from mild ones such as bad breath, digestive problems and dehydration to serious diseases such as heart disease, cancer and kidney disease. Health wise, there is an increasing amount of research pointing to the fact that plant based diets with high protein and low carb are the healthiest diets of all. Following a diet high in plant based protein, and plant based fat but low in carbohydrates has shown a 30% lower risk of heart disease, and reduced risk of type 2 diabetes. In fact, one of the most established things in nutrition science is the very well documented wide ranging health benefits of following a low carb diet. So within your food combining, favour beans nuts and seeds over grains where possible. And when you do eat grains, smaller portions is best. As well as protein, some people worry about lack of iron. Vegans are no more likely to suffer from iron-deficiency than meat-eaters. Iron from plant-based sources is actually healthier than from meat sources. Pulses, soya products, green vegetables, whole grains, dried fruits and dark chocolate are all high in iron and a plant-based diet using a wide range of foods will be getting plenty of iron. I am a firm believer in fresh, tasty plant-based foods with a decent proportion served raw, with a sprinkling of nuts or seeds at every meal is the way forward. If you like tofu and tempeh then great, if not then beans and lentils are great too. If you don’t like either then you’ll probably get enough from vegetables, grains, nuts and seeds. Eating too much protein is a factor in weight gain since surplus turns to fat and we are generally far too protein-focused. Protein deficiency is rarely seen in affluent populations, and generally only seen in populations where ALL food is scarce. Simply put, where food is abundant, all people, regardless of their dietary choices, will be getting more than enough protein, and all the aminos they need.